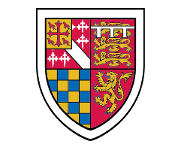 This is a new post which has been created to help us manage our new and exisiting accommodation here at St. Edmund's. We are currently developing a large amount of new accommodation based at Mount Pleasant, to the north of Cambridge, and the person appointed will be instrumental in developing and maintaining domestic services. You will lead the team of Domestic Assistants in order to deliver and maintain high standards of cleanliness and services across the College and will be responsible for managing, motivating and developing the Housekeeping Department. You will need to be customer focused by consistently delivering the highest level of customer satisfaction with an informed, friendly and effective approach. For further details, including how to apply, please see the attachments. Closing date Monday 4 March 2018. First interviews will be held on 12 or 13 March and second interviews week commencing 18 March 2018.